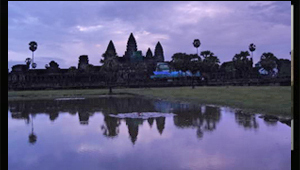 Angkor is one of the main archaeological areas in Southeast Asia. Stretching over some 400 km2 covered in part by the forest, the Angkor Archaeological Park contains the admirable remains of the various capitals of the Khmer Empire, which shone between the 9th and 15th centuries. The action of the International Coordinating Committee (ICC-Angkor) for the safeguarding and development of this exceptional cultural site is a striking example of international solidarity and testifies to one of UNESCO's most impressive achievements for heritage. Implemented twenty-five years ago following the Tokyo Declaration by UNESCO and renewed through the Paris Declaration in 2003, the International Coordinating Committee for the safeguarding and development of the historic Site of Angkor coordinates thirty countries and an Ad-hoc experts group for scientific, restoration and conservation projects. The International Programme for Angkor stands out for its innovative approach, closely linking safeguarding operations to sustainable development efforts. The successful conservation of the site by the APSARA National Authority, followed by the ICC-Angkor, was rewarded with the removal of the property from the List of World Heritage in Danger in 2004. Similarly, the efforts made by the ICC-Angkor to protect the sites have contributed to the economic and social development of the region through the training of professionals, job creation and the empowerment of women. In 25 years, Angkor has thus become a living laboratory demonstrating the potential of sustainable tourism, crafts, and the full mobilization of local communities for the social cohesion in 112 villages. Angkor highlights the extraordinary scope of the achievements that can be achieved through international cooperation. 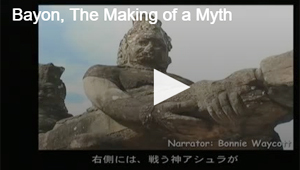 The scientific expertise specially created by the CIC-Angkor makes it possible to coordinate the efforts of various disciplines in fields such as restoration, conservation or research by helping architects, engineers, archaeologists to exchange information and research methods that have resolved the structural stabilization of the Angkor monuments. The vitality of this gigantic site represents a model of sustainable development that supports 700,000 inhabitants and attracts some five million visitors whose flow must be managed each year. The park authorities are carrying out several projects aimed at improving the lives of communities through the implementation of sustainable tourism that respects local sensitivities. Consulting civil society in all phases of the site's development, each project is managed by a steering committee composed of representatives of the private sector, residents, as well as Buddhist clergy, who are very active on the site. The fact that a project of such magnitude was successfully carried out in a developing country just emerging from more than two decades of conflict in 1992 is a testament to the remarkable potential of the World Heritage Convention and the international solidarity led by UNESCO. Today, Angkor is not only a key tourist destination in Asia with 5 million tourists annually, but also a major driver of economic development. The site, which is an exemplary management model for all World Heritage properties, has also inspired many restoration projects around the world.